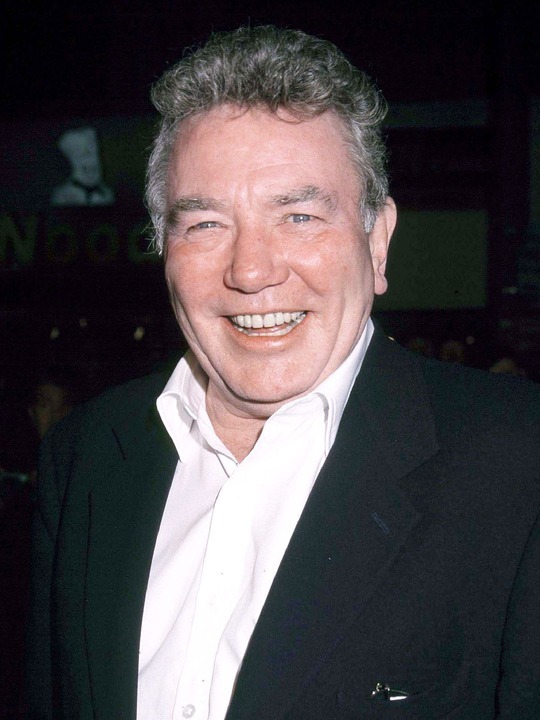 Albert Finney is an English actor. He achieved prominence in films in the early 1960s, and has maintained a successful career in theatre, film and television. A recipient of BAFTA, Golden Globe, Emmy and Screen Actors Guild Awards, Finney has been nominated for the Academy Award for Best Actor four times, for Tom Jones , Murder on the Orient Express , The Dresser , and Under the Volcano ; and was nominated for Academy Award for Best Supporting Actor for his performance in Erin Brockovich . Finney is a graduate of the Royal Academy of Dramatic Art and a member of the Royal Shakespeare Company. His career began in the theatre; he made his first appearance on the London stage in 1958 in Jane Arden's The Party, directed by Charles Laughton, who starred in the production along with his wife, Elsa Lanchester. Then in 1959 he appeared at Stratford in Coriolanus opposite Sir Laurence Olivier , Edith Evans and Vanessa Redgrave. His first film appearance was a role in Tony Richardson's The Entertainer , with Laurence Olivier, but he made his breakthrough with his portrayal of a disillusioned factory worker in Karel Reisz's film version of Alan Sillitoe's Saturday Night and Sunday Morning. This led to a series of "Angry Young Man" roles in kitchen sink dramas, before he starred in the Academy Award-winning 1963 film Tom Jones. Prior to this, Finney had been chosen to play T. E. Lawrence in David Lean's production of Lawrence of Arabia, but the actor quit after four days of shooting. After Charlie Bubbles , which he also directed, his film appearances became less frequent as he focused more on acting on stage. During this period, one of his high-profile film roles was as Agatha Christie's Belgian master detective Hercule Poirot in the 1974 film Murder On The Orient Express. Finney became so well-known for the role that he complained that it typecast him for a number of years. "People really do think I am 300 pounds with a French accent" he said. Finney made several television productions for the BBC in the 1990s, including The Green Man , based on a story by Kingsley Amis, the acclaimed drama A Rather English Marriage , and the lead role in Dennis Potter's final two plays, Karaoke and Cold Lazarus in 1996 and 1997. In the latter he played a frozen, disembodied head. He also played the leading role in the television series My Uncle Silas, about a Cornish country gentleman looking after his great-nephew. The series ran from 2000 until 2003. Finney was born in Pendleton, Salford, Lancashire, to Alice Hobson and Albert Finney, Sr., a bookmaker. He was educated at Tootal Drive Primary School, Salford Grammar School and the Royal Academy of Dramatic Art. He has a son by his first wife, Jane Wenham: Simon, who works in the film business as a camera operator. In May 2011 Finney's agent and lawyer confirmed that he had been receiving treatment for cancer. Whole or part of the information contained in this card come from the Wikipedia article "Albert Finney", licensed under CC-BY-SA full list of contributors here.